In order to be successful, we believe that you can advice people the best way if you are speaking from your own experience. That is why Merle of Holland Homestay also rents out a room in her own house. Her tenant Wesam has been living at her place for 9 months now. Wesam, 27 years old from Iraq, works at OPCW and is very ambitious. That ambition was clear to see right away. He is here to learn and to add experience to his resume. For Merle, the experience of living in the same house with a tenant is a real eye-opener. Naturally, you want that there is a good vibe, but there is also a business side to it. Finding a balance between those two is a challenge. Merle lives with her boyfriend, and now also with Wesam in Scheveningen. 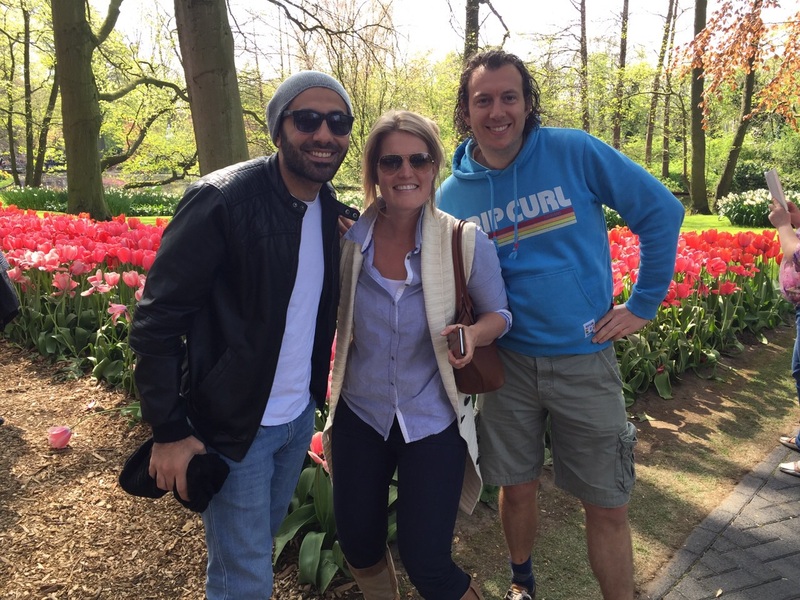 Merle: “When Wesam just arrived we took him to the ‘Keukenhof’. It was very nice, because we also never went there before. It is fun to show people your country, but also to explore with them together. Sometimes we dine together, but not every week. We like to taste his cuisine, and sometimes his mother sends him some typical products from their home country. We are there to taste them together. We also baked some ‘pepernoten’ and made him some pancakes. During the summer, some evenings we played volleyball at the beach. Wesam liked that so much that he also invited all his friends/coworkers from OPCW to play a match.